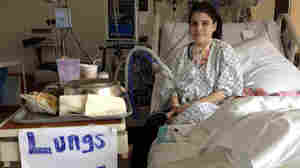 Who Decides Whether This 26-Year-Old Woman Gets A Lung Transplant? May 29, 2012  Ashley Dias needs lungs. So do lots of other patients. Scarcity is a problem with organ transplants, and, unlike other scarce resources, organs can't be bought or sold. Here's how doctors decide who gets to be at the top of the waiting list.